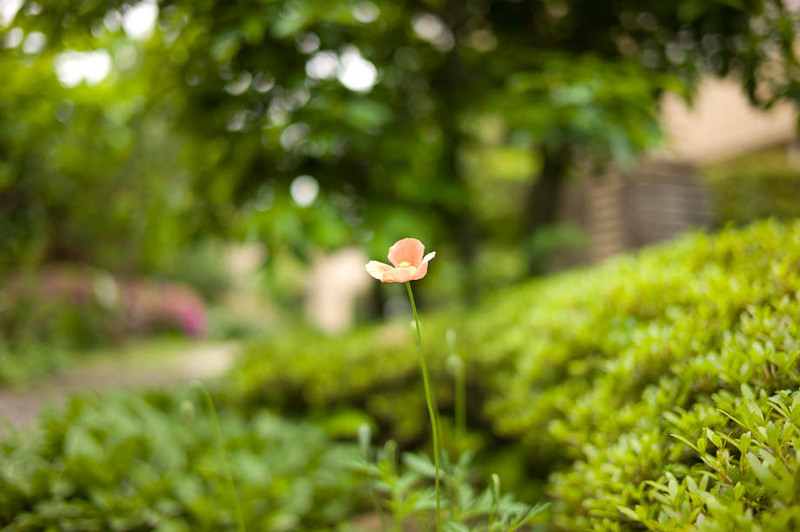 I started off playing with depth of field on my 35mm to see how much I could isolate an image. I can't get too close with 35mm but here is what I could get at f/1.4. I like clarity with 'No Parking' signs. After family shopping I decided to head down to the hotly debated Yasukuni Shrine to see if there was anyone protesting Constitution Day. I don't wish to talk politics on this site but rather explain what I was seeing today without judgement so people who might not understand all of this can. Yasukuni Shrine was formed in 1869 on the orders of Emperor Meiji and is dedicated to the souls of about 2.5 million Japanese men, women and children who died in the name of their country since that time. They include soldiers, war-time nurses, students who entered into battle, and those who committed suicide in shame at the end of World War II. At the centre of the shrine's controversy is the fact that those venerated include 14 convicted class A war criminals, including Prime Minister General Hideki Tojo. This shrine as been the site of many protests with view points for and against. I am not sure if this is by design but I had the hardest time finding the station. My trusty Metro application on my iPhone couldn't find the station, even the map on the train didn't list it. 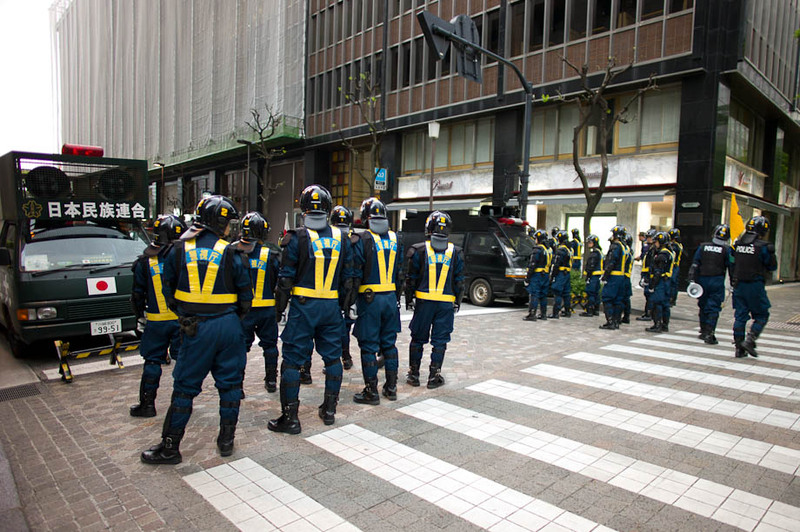 The Black Vans were lining the street and the Tokyo Riot Police were lining them. Nothing overly exciting...a bit of a modern day standoff. I started to head toward Tokyo Station and found more of them.... and a big Riot Police Bus blocking one of the vans from passing.